The black and white cat who adopted us this summer and who always seemed to be hungry had very good reason to be; she had a litter of kittens secretly hidden away in the cavity between the shower block and the hay loft. 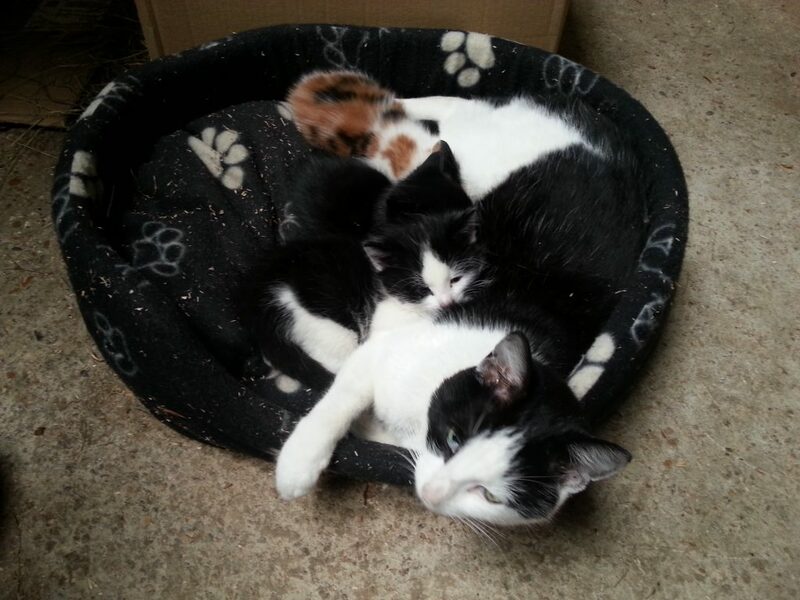 Mother and kittens are doing very well and now have a much safer and more comfortable home in the old stables. Mice beware!